Launched in July 2016, Pokémon Go—a free-to-play augmented reality (AR) game created by Niantic—exploded into international popularity, bringing to light the immense potential of computer-mediated realities in influencing the way we view the world around us. 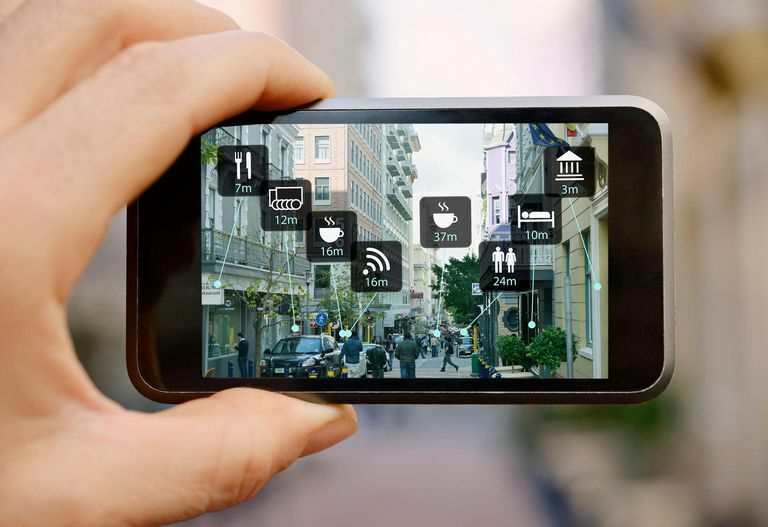 Simply put, augmented reality is a technology that “augments” the reality captured by digital devices. This amplification of the real world is achieved by integrating digital information—whether computer generated or one that is abstracted from the real-world itself—into the user’s view of reality as delivered by the devices they use. In the case of Pokémon Go, the digital information includes the many different elements of the gameplay that are superimposed on a player’s smartphone screen—providing the illusion that these elements arelikewise to be found within the same environment as the user. Indeed, a big part of the appeal and popularity of the game is the fact that players can move within their real-world surroundings in order to find and catchPokémonsin the wild. As fun as it is to go hunting for Pokémonsinside one’s own house or at a popular local park, augmented reality is a technology that will not remain confined within the confines of the gaming world. Already there are numerous real-world applications of augmented reality technologies, and many more are expected be developed as the technology improves over time. At the forefront of this digital transformation are global businesses that are also developing their own augmented reality applications for devices such as smartphones, tablets, and personal computers. Swedish furniture and home accessories giant IKEA, for instance, has developed the IKEA Place app, which brings users’ interior design ideas to life. Using the app, prospective buyers are not only able to browse IKEA’s extensive collection of sofas, shelves, curtains, and other knickknacks for one’sabode, they can also virtually place these items inside their living room, bedroom, or any other place in their home. They need only hold their smartphone up, use its camera, engage the app, and then they’ll be able to see if the Billy Bookcase matches their home office’s interiors, or whetheror not the Pöang Armchair fits in this corner of their family room, or if a Malm Bed looks good in this particular guest room they have downstairs. The French cosmetics company L’Oréal also has its own AR app that works in much the same way. In 2015, they introduced MakeUp Genius—the world’s first makeup tester app, which allows users to virtually try makeup products on their faces before buying them for real. And it’s not just in retail that augmented reality is finding increasing use and application. Military organizations, for instance, are studying how to create advanced heads-up display (HUD) units for pilots and head-mounted display (HMD) units for ground troops—devices that use AR which can be used in training and real-life scenarios. Similar devices can be created for medical and engineering personnel, as well as regular consumers, who may purchase apps and devices for everyday tasks such as driving and navigation, or for entertainment purposes, such as virtually attending concerts and sporting events. Naturally, this development will require high-bandwidth networks that support colossal network traffic. This need for robust and reliable network infrastructure will be particularly felt in locations that are not fully prepared for heavy spikes in data usage. Current networks in many such locations are simply not capable of supporting the expected expansion in connectivity requirements, with most of them experiencing encumbrances such as long deployment times, inadequate bandwidth, and costly contracts. Service providers and network professionals would be well advised to employ easily deployable wireless backhaul and Wi-Fi offload equipment in order to lessen the strain on legacy networks that are not able to manage surges that last for long periods of time. Such easily scalable networks can be provisioned in as little as a few minutes instead of days, weeks, or months, allowing businesses and government agencies to build the infrastructure necessary to support exploding volumes of network traffic. These upgrades will ensure that augmented reality technologies will be able to function the way they are supposed to. It is clear that the development towards computer mediated realities is not going to slow down any time soon. Enterprises and other organizations are using tools like augmented reality and virtual reality more and more, and as such, network professionals must be prepared to deliver on the throughput, speed, and volume demands of these technologies if they want all parties to benefit from the this newly emerging paradigm of the digital economy.